Ayr welcome Boroughmuir to Millbrae on Saturday for the first home game of the season and the visitors' opening encounter in this year's BT Premiership. 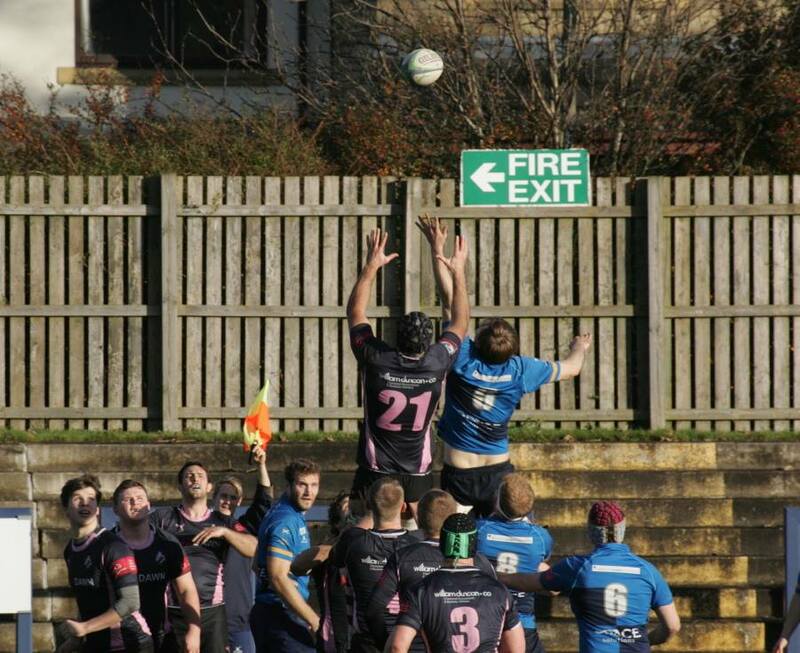 'Muir were in action last weekend at BT Murrayfield, where they were narrowly beaten by last year's league champions Heriot's in the BT Charity Shield. Shortly after, Ayr kicked off their BT Premiership campaign with a heartening 32-3 win against Glasgow Hawks at Old Anniesland. Despite the five tries scored last Saturday, Ayr head coach Calum Forrester is keen for further improvement. There are some changes to this week's squad. After hobbling off injured last week, captain Ross Curle is replaced at inside centre by Danny McCluskey, whose stand-off berth is taken by David Armstrong, with Ali Price starting at scrum-half. Full-back Grant Anderson takes the captaincy. The only change in the forwards is Will Bordill's inclusion in place of an unavailable Andrew Dunlop. Bordill was in Canada with Glasgow Warriors last week, as was George Hunter, who is named on the bench for Ayr. Aidan Holland, who returned to Ayr from Hull RFC over the summer, is also named in the substitutes. 15. Grant Anderson (capt); 14. Haddon McPherson, 13. Archie Russell, 12. Danny McCluskey, 11. Cameron Taylor; 10. David Armstrong, 9. Ali Price; 1. Steven Longwell, 2. James Malcolm, 3. Javan Sebastian; 4. Robert McAlpine, 5. Scott Sutherland; 6. Graham Fisken, 7. Will Bordill, 8. Blair Macpherson. 16. Fergus Scott, 17. George Hunter, 18. Pete McCallum, 19. Aidan Holland, 20. Kerr Gossman. 15. Craig Marshall; 14. Ed Farquharson, 13. Alex Cox, 12. Greg Cannie, 11. Jordan Edmunds; 10. Chris Laidlaw, 9. Robbie Smith; 1. Robby Wilson, 2. Sean Crombie, 3. Craig Bachurzewski; 4. Fin Field, 5. Kay; 6. Callum Reid, 7. Andrew Rose (capt), 8. Magnus Bradbury. 16. Leigh Robertson, 17. Cal Davies, 18. Craig Keddie, 19. Johnny Adams, 20. Mark Hare. Please be aware that due the nearby air show, traffic will be heavy in the area, so leave some extra time for your journey to Millbrae.